« Possum in a post box! Nearly here: Geelong Walks Book! Well, here’s a bit of excitement (for me at least!). 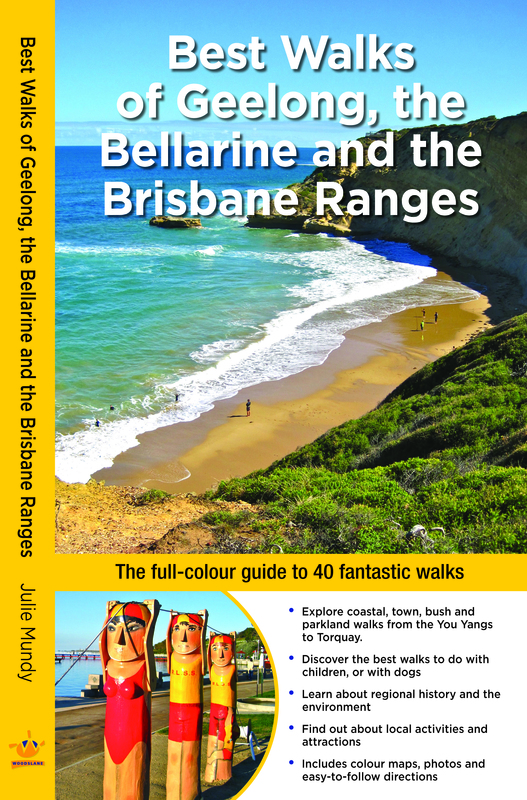 My next guidebook, Best Walks of Geelong, the Bellarine and the Brisbane Ranges (Woodslane Press) was finally sent off to the printers on the 19th October and should be in stores by mid-December, ready for you to plan some lovely Christmas walks. It will retail for $29.95 and has 40 terrific walks to suit all sorts of abilities and interests. A big thank you to my terrific editors at Woodslane Press, and to my patient friends who joined me on many of the walks (Karen, Deb, Di and Fred – legends all!). Here’s a sneak preview of the cover, so you know what to look out for. Hope you enjoy the walks as much as I did! Thank you! Am just waiting for the forward copies to be delivered this week – so exciting!